This stylish well furnished one bedroom first floor apartment is set within a grade A listed Art Deco building in the heart of Glasgows Merchant City. Originally completed in 1937 for Lord Beaverbrook as flagship premises for his Daily Express Newspaper and until recently as 2007 headquarters of The Glasgow Herald. The apartment utilises high floor to ceiling windows to provide a new take on ''loft style living''. less than 5 minutes walk to Strathclyde University, George Square or Argyle Street. Less than 10minutes walk to Buchanan Street – the heart of Glasgow’s shopping centre. The open plan double bedroom has a king size bed. The fully equipped kitchen includes integrated washer dryer with dishwasher, Smeg hob and oven. The large hallway acts as a dining room with seating for up to 6. There is also a family sized bathroom with shower and bath. Guests can enjoy large screen television with blu-ray player along with free wireless internet access and broadband. Parking notes Parking 30 yards away in NCP car park at a cost of £8.70 for 24 hours. Metered on street parking is also available and is free from 6pm until 8am and on Sundays. There were no problems with the booking, payment of deposit, communication, and return of bond at end of stay. Met at apartment personally and on time. Beautiful apartment with pleasant outlook in central location with many thoughtful inclusions. Well and comfortably furnished. Thoughtful provisions included also. Everything to a high standard. All E mails were answered promptly and all my questions were addressed. Great apartment....everything went smoothly and the unit was a pleasure to stay in. We asked reserve apartments to find us an apartment for the commonwealth games and they did. And it was beautiful. I like the fact that I could speak to someone on the phone instead of just booking on line. Somehow it's more comforting. The apartment we stayed in at Albion street, whilst in glasgow for the commonwealth games far exceeded our expectations. The interior design was tasteful and luxurious. Wonderful touches like Egyptian cotton sheets, lots of fluffy white towels, complimentary toiletries including shower gel, quality shampoo and conditioner etc. Also, the fridge was stocked with milk, wine, tea, coffee, salt and the very best thing was a huge jar of liquorice allsorts - my favourite. 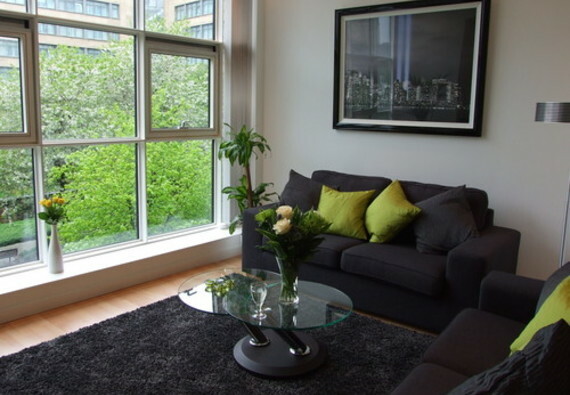 The apartment is right in the heart of glasgow so the location was perfect. You will not be sorry if you stay here. It's much better than booking a hotels honest.